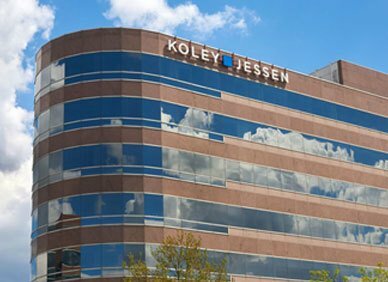 Whether it’s helping a small company set up an organizational structure and policies or working with a large corporation on their fiduciary duties and financial reporting requirements, Koley Jessen provides tailored advice to help companies achieve their strategic objectives. Corporate governance is important, for companies of all sizes. It can mitigate effects of sibling rivalry in family-owned business, and help larger companies maintain a solid reputation and be adept at responding to the rapid changes that can occur in a business environment. We regularly advise companies, senior management, boards of directors and committees on governance, organizational structure, fiduciary duties, and financial reporting . We also ensure that effective governance documents and policies are in place and utilized as intended and provide director training and education as needed. Our team has experience developing, implementing, executing, and monitoring regulatory compliance programs, including U.S. Foreign Corrupt Practices Act (FCPA) anti-corruption/anti-bribery programs, health law compliance programs, and other compliance codes, policies, and procedures tailored to meet the risk-based needs of our clients. We are well equipped to conduct or assist companies with their internal investigations, risk assessments, and corrective action planning, and can also provide training on these topics. When it comes to compliance programs, we know that an ounce of prevention is worth a pound of cure, so we strive to ensure that our clients have effective and practical policies and procedures that keep them moving forward on business objectives while mitigating their risk.